Dustin Brown is no stranger when it comes to on-court antics. The German star of Jamaican descent demonstrated his athleticism once again to prove why he a crowd puller. 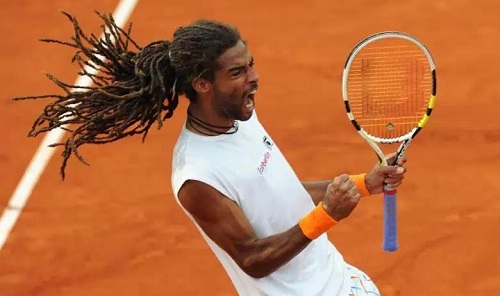 Playing in the final of the ATP Szczecin Challenger in Poland on Sunday, Brown suffered an upset 6-2 6-3 loss to lower-ranked Italian Alessandro Giannessi. But, that didn’t hinder him from winning the spectators’ hearts towards the fag end of the match. Serving at match point, Brown played a deceitful drop shot that his opponent somehow managed to return. The 31-year-old, then, executed an incredible no-see backhand shot, which drew a round of applause from the crowd.